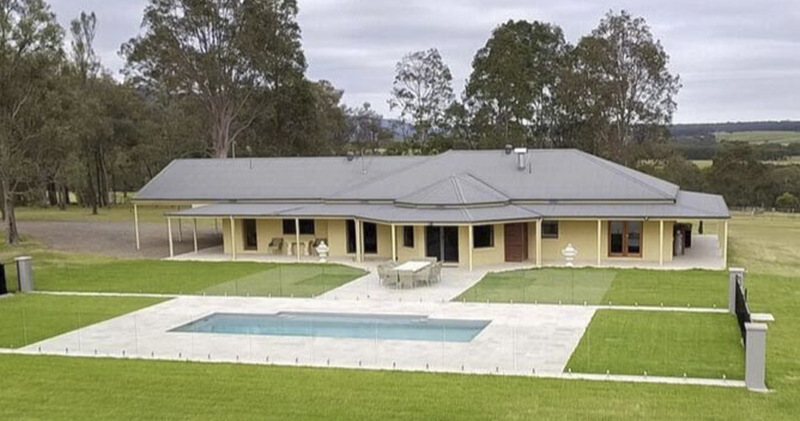 The main house directly overlooks the vineyard of Degen Wines and is set amongst manicured lawns, an established fruit orchard and native trees. Perfect for entertaining, enjoy the wide paved verandahs, BBQ area and Travertine pool terrace which leads to the stunning swimming pool that has won three industry awards for 2017. On the western side, the inviting Summer House with its deep lounges and its’ own private deck is perfect for watching the beautiful sunsets. The living room features comfortable leather lounges and is perfect for relaxing with a book or watching your favourite film on the widescreen TV. The fully equipped contemporary galley-style kitchen has European appliances, stone bench-tops and everything you would need to cater for your large group. The huge custom-made dining table dominates the room and brings everyone together making every meal a special occasion. 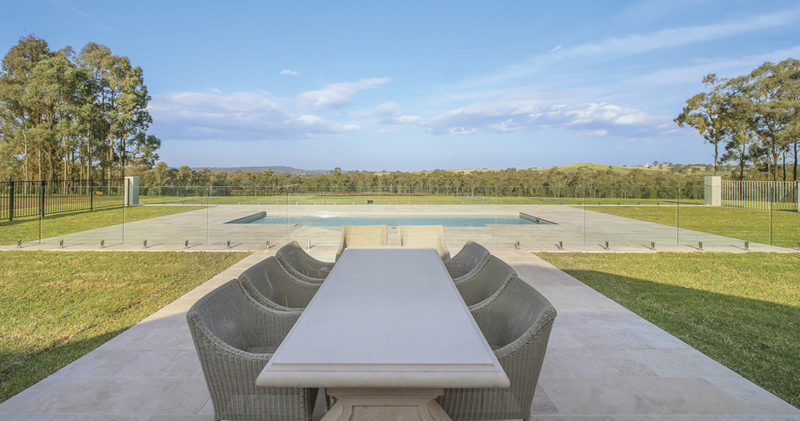 You will only be moments to surrounding vineyards and concert venues such as Bimbadgen, Roche and Hope Estates, The Vintage Golf Resort and within five minutes of the Hunter Valley Gardens and The Hunter Expressway. Your first wine tasting of course is on-site, just a short walk away at the charming cellar door of Degen Wines. Bookings essential with Jean: 0437 661 993. A security deposit/bond of $2000.00 is required for your stay and is payable as a credit card pre-authorisation. This will be processed approximately 24-48 hours before arrival, so please ensure the funds are available at this time. Concert weekends must be a minimum of 18 guests, and a concert surcharge may apply. 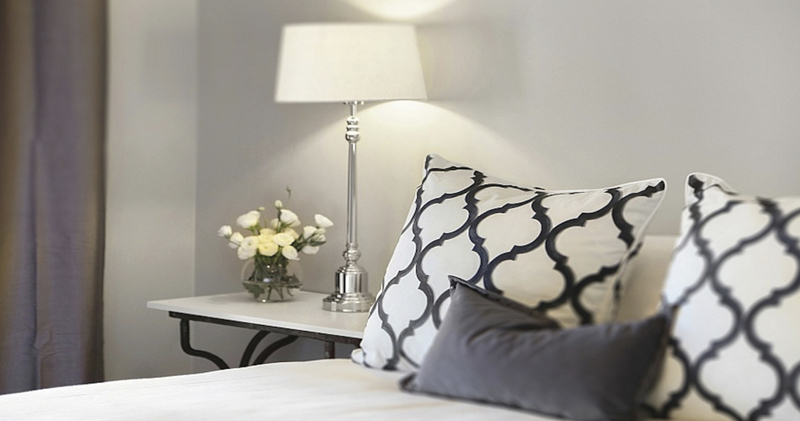 MIDWEEK BOOKINGS and LONGER STAYS – Please contact us for a quote. Discounts are available on midweek stays and longer stays of 4 nights and over. 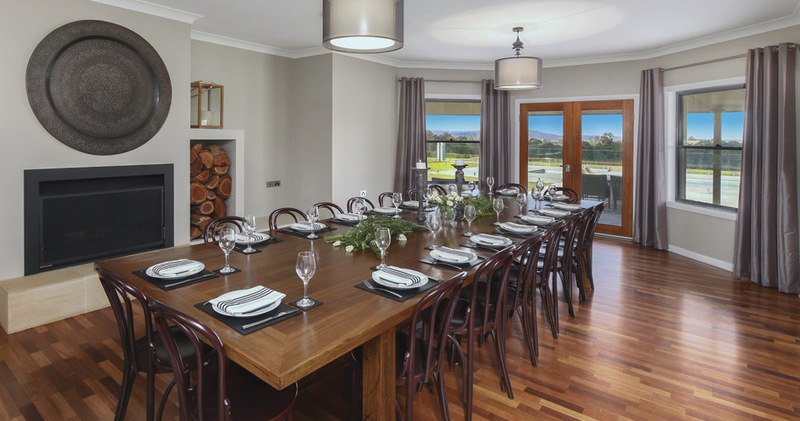 Should you wish to host more than 20 guests, stay with us at Degen Estate & Hillcrest House – perfect for 27 guests.